Mark graduated from The University of Auckland in 2000 in Clinical Psychology and is currently registered under The Health Practitioners Act 2003. Mark has worked in Community Mental Health Services since 1998, has had counselling and therapy roles since 1993, completed a Post Graduate Certificate in Advanced Psychotherapy (Psychoanalytic Psychotherapy) in 2003, and completed the NZ Institute of Psychoanalytic Psychotherapy Training Programme in 2010. 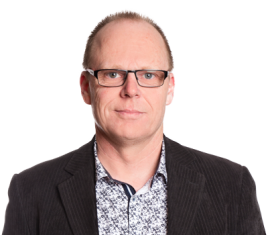 Mark is a current member of The NZ Psychological Society and is ACC Registered for Sensitive Claims work. Mark is available for appointments between Monday and Friday. Fees are $180.00 plus GST for a 55 minute session. Payment is required at the time of the session via EFTPOS or by Internet Banking transfer after each session. Some health insurers cover a portion of the fee associated with therapy from a Clinical Psychologist – check with your insurer. There is a cancellation policy and this is discussed at the initial appointment. Phone, Text or Email mark directly for appointment times. Please leave a message on the answer phone and Mark will return your call promptly.